“What do you learn in an MBA program from an IIM?” I quipped before my brother, an alumnus of one, last year. He cheekily replied, “The strategic use of the word ‘It depends’.” That was my introduction to the revered business schools of this country. On a serious note, he detailed a few benefits that I would amass enroutè my journey. I write this story detailing how truthful that advice turned out for me in the past one year since I joined IIM Udaipur. I was a student pursuing Chartered Accountancy in 2015, and the final was due in November of the year. Some friends cajoled me into filling the CAT form for the year which I did out of curiosity. Cleared the CA exam and scored a percentile decent enough to get an interview call from almost all the IIMs barring the top 3. Appeared for the interviews which are a story for some other time. Got an offer from many of the newer IIMs and did my research to select IIM Udaipur finally. I joined the college like other colleagues on a high. Having cracked one of the toughest exams in the country, there was no stopping me! Wham! First quiz and I scored a measly 57% in the first week here. Workload piled up, presentations were mediocre, and sleep was as scarce as hen’s teeth. Welcome to the IIM life, my friend. I packed up my confidence in my suitcase under my bed and put on my hard working cap on. The first trimester went by in a blur. With all the academics and clubs and committees induction happening left right and centre, I was left confused with 180 other batchmates to figure out what I wanted out of this program. The second trimester I caught hold of myself and started focusing on the important stuff. The learnings from the case study competitions conducted by various MNC’s on campus (which might get you PPIs BTW), the thought-provoking cases in class, the intoxicating conversations around tea (or other forms of mind stimulating drinks :D) with colleagues at the night canteen somewhere around 3 am and understanding the dynamics of working with people in groups. Learning was there in every nook and cranny of this sprawling 300-acre campus! 1. Remember that confidence lying idle in the suitcase under my bed? Well, it isn’t there anymore. It is back inside me. But it has changed in all aspects it could have. 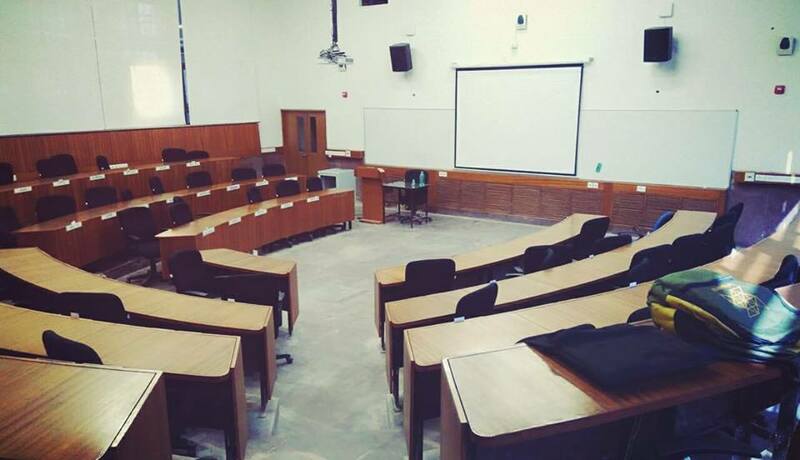 The vanity of knowledge and supremacy has been replaced with the learnings derived from musings of the corporate world which the colleagues from diverse backgrounds bring with then into an IIM. 2. Academically, I understood how to apply the concepts learned in classroom practically. The brainstorming sessions over cases and other work changed the dynamics of how my mind functions. Analysis of things now considers so many factors that it cannot be penned down. 3. Made friends whose guidance and opinions I respect. I am sure every reader of this post has his gang of bros or her squad of girls whom you adore. But b-school friends are different. Having burnt the midnight oil together for those assignment builds a different form of camaraderie altogether. Also since this friendship is formed post gaining adulthood, it encompasses your interests and thought process. 4. Remember the workload piled up? Well, guess what, it isn’t there anymore. MBA program is purposefully designed to be strenuous to teach you a valuable lesson in time management. The workload keeps coming in cycles. With time and effort, you learn to cope with it which becomes an essential tool out there in the savage corporate world. People who reach these b-schools are those who have survived intense competition. In a country of 1.25 billion people, if someone has reached an IIM, be proud my friend, you have achieved something truly remarkable. Every colleague you meet here will be brilliant at something or the other and has the potential to add some value to your life. IIMs are like springboards. They apply a lot of pressure on you for a short duration to stockpile you with the right skills to catapult you towards a promising future.